Wat Phan Tao is one of the attraction with the goodly of peaceful in our central city of Chiang Mai. Visit one of the most talked temple for practice the Dhamma as well at the Wat Phan Tao. According to the religious site in Thailand as the temple is one of the most talked and quite attractive to not only the foreigner visitors but also, to the Thai travelers too. According to our Chiang Mai is well-known in the civilization and natural resources attraction, there are a lot of temple with the faithful too. 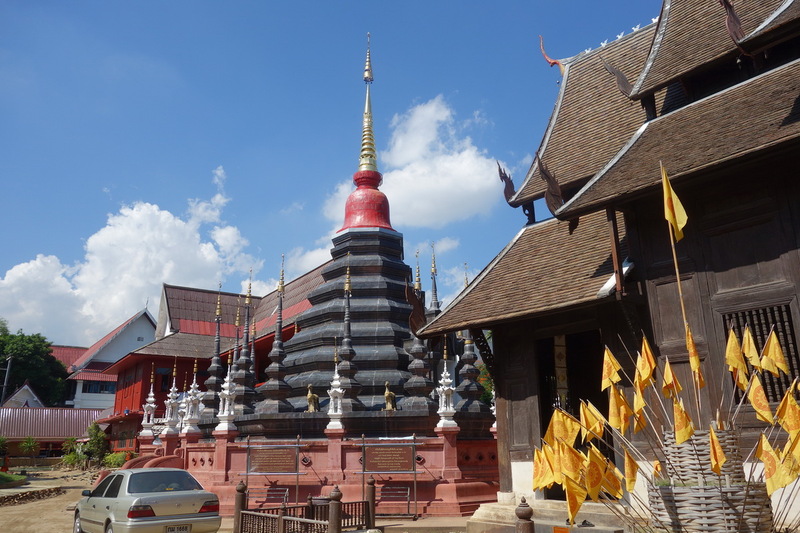 As reported, there is a lot of importantly historical temple of the northern of Thailand are located in our Chiang Mai. However, the Wat Phan Tao is one of the gratefully religious site too. Therefore, this is my appreciated moment to recommend you to known this wonderful and most well-known religious site in the central city of Chiang Mai is the Wat Phan Tao. 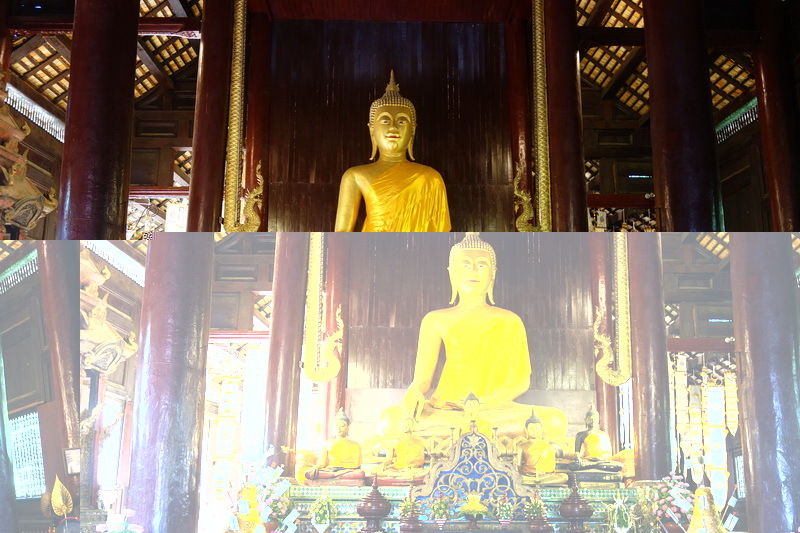 What do we have seen in our amazingly religious attraction in our Chiang Mai is the Wat Phan Tao? Our Wat Phan Tao or the Wat-phan Tao is one of the most reliable religious site for the native Buddhism in our central city of Chiang Mai because there was created since 500 years ago. Even though our wonderfully religious site is the Wat Phan Tao is not quite big as much, this Wat Phan Tao is still one of the most visited religious site in Chiang Mai too. The first interesting in our Wat Phan Tao, is the Buddhist building that including of the old Lan Na designed both outside and inside. According to the beautifully and faithful of this Lan Na Buddhist building, there is a lot of attractive to not only me but also, the other visitors as much too. Moreover, the Buddha statue is quite beautiful and faithful for not only the native Buddhism but also, for the visitor who has ever seen their too. 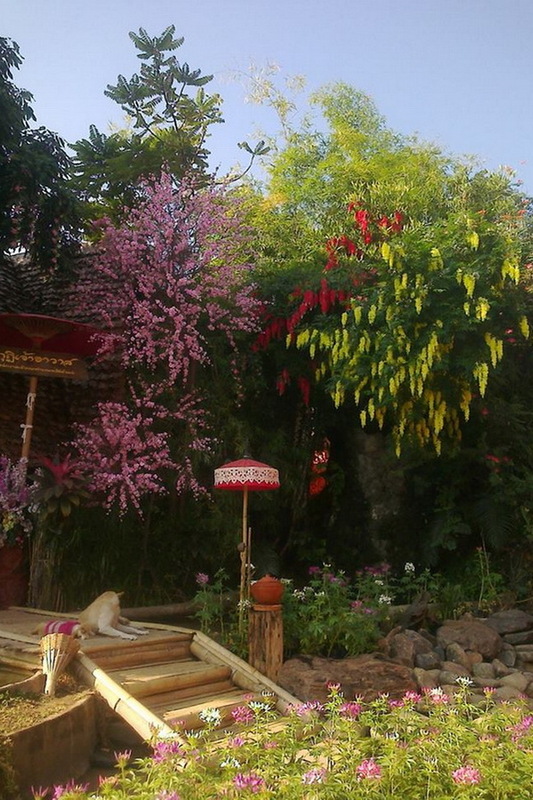 Another interesting site in our Phan Tao temple is the decorated natural garden that around of the Wat Phan Tao. Therefore, Dhamma practice is one of the recommended activities to exactly do as well with a lot of peaceful. In my mention, I am exactly agreed with the Dhamma practice in this Wat Phan Tao because there are overall with the perfectly weather. Not too hot and too cold. Therefore, it is quite effective as well in the Dhamma practice in each day. Moreover interestingly general activities are pay respect to the Buddha statue for realized to the Buddha, make a merit, study the Buddha’s lessons, and doing the Buddhist activities including the Buddhist tradition in the important days of Buddhist. All in all, our Wat Phan Tao is one of the restful space with the important of the religious history which I recommend you to visit at once because, not only the wonderful of the creature and native Buddhism being which you will have been met but also, the peaceful experience is still waiting you to meet at once while you are be there in our Chiang Mai too. The Wat Phan Tao, one of the best temple which fulfill your peaceful experience as well in your life. How do we getting there to this one of the beautifully religious site of Thailand, the Wat Phan Tao? Thought The walking and cycling is my best favorite option to reaching wonderfully religious destination is the Wat Phan Tao with good experience in seeing an unexpected sight such as the beautiful of Chiang Mai town and the being of native life, there is a bit inconvenience for the traveler who need not to spend their much the travelling. So, the advice for travelling to our wonderfully religious destination, the Wat Phan Tao with the vehicle is in needed. According to the location of our Phan Tao temple in located in the central city of Chiang Mai, there are a lot of not quite hardly to reaching our religious destination is the Wat Phan Tao. There best recommended direction of both ways are by your own or rental vehicle, and also by taking the public transportation too. Let give information with the first option is the way of your driving with your own or rental vehicle. Let’s start at the Tha Phae gate. Next, go along in the Mun-Muang road for exactly 10 kilometers the, take a turn on your left to the Racthadamnoen road. Secondly, go along on the current road for around 500 meters in approximately. Then, take a turn on your left to the Pok Klao road. Lastly, moving forward on the direction of the Pok-klao road then, turn right a driving forward on direction for exactly 40 meters. Then, you will reach here at our well-known religious destination, the Wat Phan Tao in finally. Another recommended option to the Wat Phan Tao for the traveler who need not boring their own or rental vehition is, by taking a public transportation from the several service providers that around in the central city of Chiang Mai. For my exactly best recommendation for the public transportation is to taking the red minibus. However red minibus is a little bit inconvenience, there is a fast option to reaching our Wat Phan Tao with exactly in friendly price. By the way, the motocycle service is another best option with the friendly price if you start from the Tha-Phae gate in exactly.